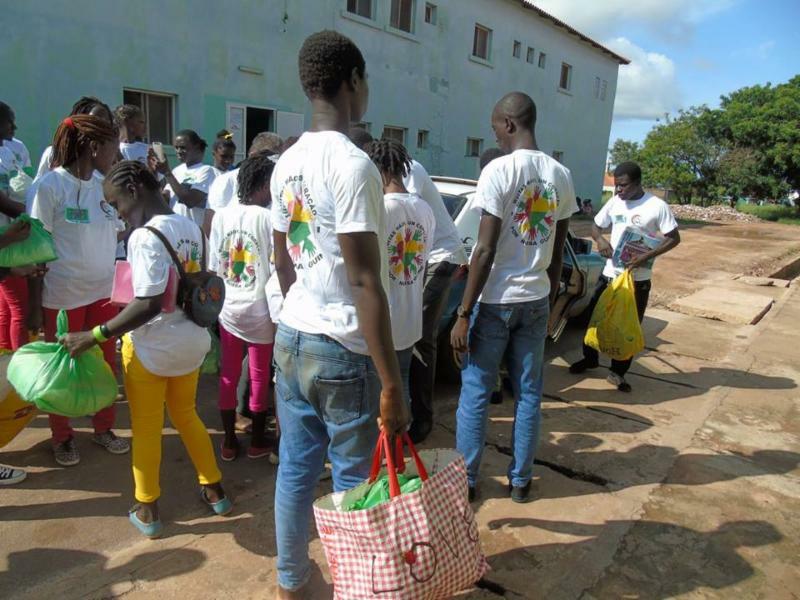 With many blessings the young people of Guinea-Bissau finished their youth camp 2016. The camp was intended to help young people to make intelligent decisions, by putting God in first place and allowing Him to permeate all areas of their lives, including relationships, studies, business, church service–all areas of their lives. We are thankful for the youth pastors who presented the issues in a clear and challenging way, highlighting the fact that satisfaction will empower them in their daily lives. Christian author, Philip Yancey, says that it seems Jesus prefers the idea of working with “recruits” who may not hold much promise in the eyes of the world. But we know that through His power, we can do great things. Through God’s grace, each young person was able to pay for their registration and food. We are also thankful to the women who helped in the kitchen as they are a gift from God. We did service projects that we called, “Many Hands, One heart, for Our Guinea”. Through evangelism, the entire group went to the national hospital, Simão Mendes, delivering 100 packages with gifts and many more things for the children who were in the paediatric ward. We also had the opportunity to pray for the sick. One of the nurses asked if we could continue to visit the hospital pray for the sick. Many of our young people were shocked as it was the first time I have ever had an experience like this. We are also thankful for the donation of t-shirts for the campers and also for the donation of an acoustic guitar to assist us in the praise and worship. On Sunday, the 4th of September, the camp was concluded with a special worship service to commemorate the first anniversary of the Church of the Nazarene in the country of Guinea-Bissau. In this service, we were able to not only celebrate, but to also share in the Lord’s Supper with all of our pastors and leaders in ministry. The camp proved to be a very fruitful time, in spite of the effort and the lack of sleep, as several young people committed their lives to God. Thank you for continuing to pray for the young people of Guinea-Bissau.